RU-87P4 series is a remote intelligent I/O expansion unit that used to expand I-87K series I/O modules over the RS-485 network for industrial monitoring and control applications. There are more than 30 I/O modules supported with the unit; including analog input/output, digital input/output, counter/frequency I/O modules. RU-87P4 is designed to be used in harsh and noisy environments, so the hardware is manufactured with wide power input ranges (10~30VDC), isolated power and operating temperature (-25°C ~ +75°C). 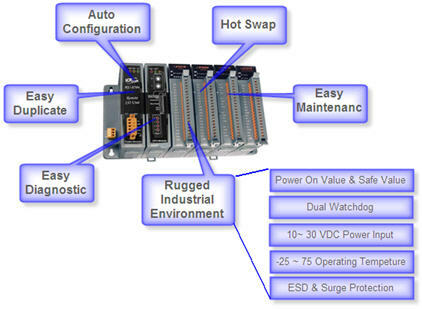 It simplifies installation and maintenance of I/O modules with hot swappable and auto configuration, fault and error detection, dual watchdog, programmable power on and safe values. The RU-87P4 doesn’t need to shut down its power to replace or plug in I-87K I/O modules. 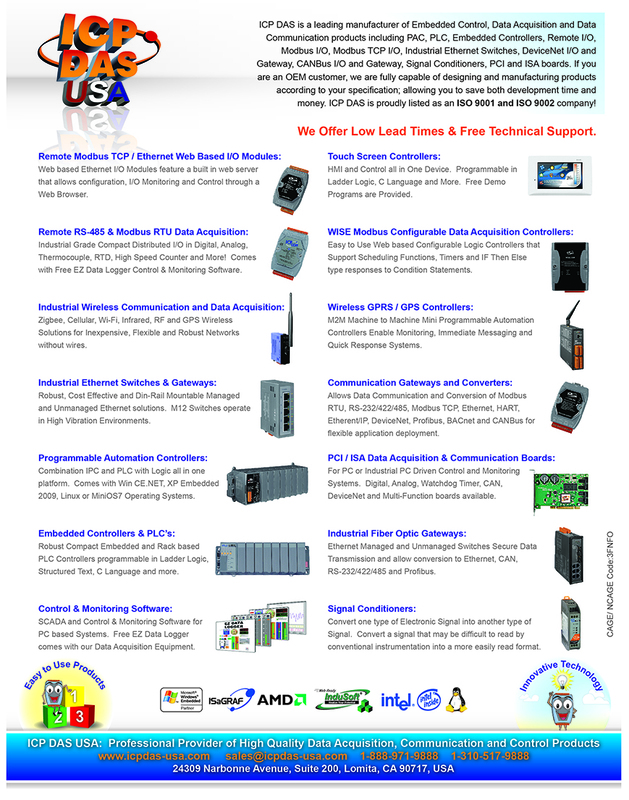 The whole system can keep operating without any interruption. Configurations of I-87K I/O modules can be pre configured and stored in the non-volatile memory of the RU-87P4. When the RU-87P4 is powered on or an I-87K I/O module is plugged in, the RU-87P4 automatically check and restore these configurations to each I-87K I/O modules on it. Using the DCON Utility, you can easily make a backup of the I-87K module configurations and write to another RU-87P4. This design can easily and quickly duplicate many RU-87P series I/O Unit.